Jane Warren is an accomplished ghost writer with more than 18 years experience. She has ghosted six non-fiction titles and has also written two non-fiction books under her own name. Her publishers have included Harper Collins and Hodder Headline. 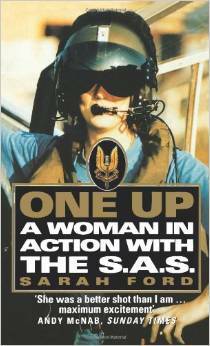 In 1997, she ghosted One Up: A Woman in Action with the SAS for Harper Collins. This was the story of a female undercover agent who spied for the SAS in Northern Ireland. It attracted a six-figure advance and was serialised in the Mail on Sunday over three weeks. In 2003, she co-wrote Fear-Busting: A Proven Plan to Beat Fear and Change Your Life with Pete Cohen, who was then GMTV’s life coach. It was published by Element and has recently been re-published in a 2011 edition. In 2004, she wrote The Ali Abbas Story: The Moving Story of One Boy’s Struggle for Life, also for Harper Collins. This was the dramatic story of a young Iraqi boy gravely injured during the second Gulf war. All profits went to the Limbless Association to support Ali and other children afflicted by the conflict. It was serialised on the front cover of The Sunday Times News Review. A Self-Made Man, the story of a female-to-male transsexual, was serialised in the Daily Express. The initial interview on which it was based earned Jane a commendation in the British Press Awards, for which she was runner up Young Journalist of the Year in 1994. Her book Igor: The Courage of Chernobyl’s Child was also serialised in the Daily Express, as were three mind/body/spirit books ghosted for Thorsons Element. Jane has been a staffer on national newspapers for 20 years and has wide experience of interviewing both famous people and those with a moving story to tell. She is currently Senior Feature Writer for the Daily Express and works from home on a part-time basis. 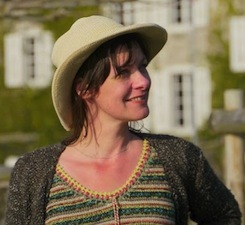 This gives her time to write and ghost books, as well as look after her two children with whom she lives in a woodland in West Sussex. Jane is drawn to stories with a strong human interest element, and enjoys the rapport created when subject and ghost gel. She works well under pressure and is used to turning around books on a tight deadline, often of only several months. I was approached by another agent following an award-winning interview in the Daily Express 20 years ago with a view to turning the story into a book. I had no confidence in this agent, and following a meeting with a publisher who thought the project did indeed have potential, Andrew Lownie was recommended to me. I have always taken immense pleasure in working with him.